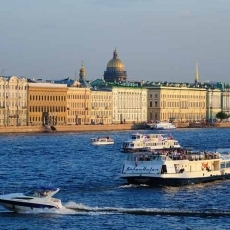 One-day private walkig tour with visiting of Hermitage, Church of the Savior on Blood, St.Isaac's cathedral and a pleasant walk along the alleys of Summer Garden. 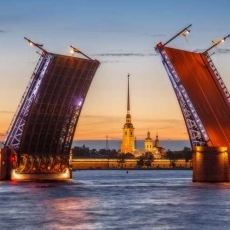 Explore the beautiful downtown of St. Petersburg with our full day private walking tour! 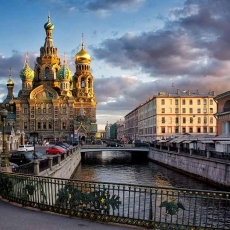 Following this itinerary with your guide you will see the most remarkable highlights of the city, learn a lot about its history and present life, visit three prominent museums – Hermitage, Church of the Savior on Blood, St.Isaac's Cathedral and have a pleasant relaxed walk along the alleys of the Summer Garden. Each ready made tour you find on our web site is customizable and can be adapted to your interests and needs. 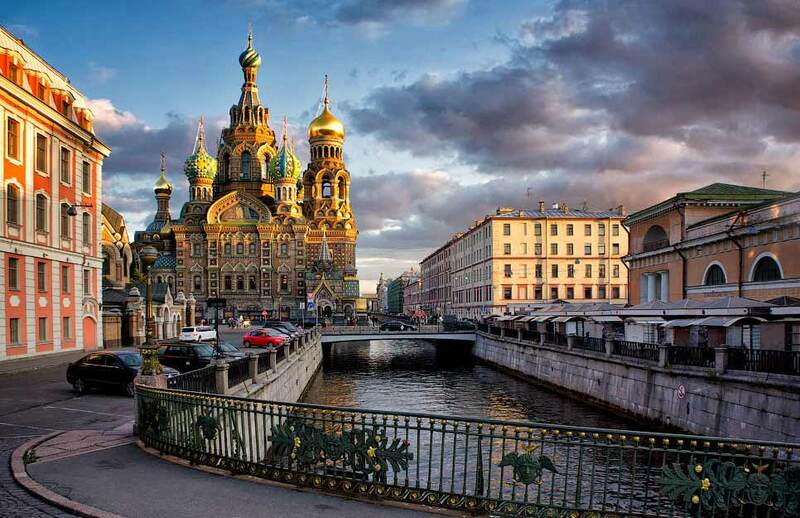 Your journey will start with a panoramic walking tour covering major sights of St. Petersburg city center (the route will depend on your hotel location). You will walk along the main street - Nevsky Prospect with its historical buildings including Kazan Cathedral, Eliseyev Emporium and walking street Malaya Sadovaya, see Church of the Savior on Spilled Blood, Saint Michael's Castle, Winter Palace where Hermitage is situated and Palace Square, St. Isaac’s Cathedral and Bronze Horseman, Admiralty, Spit of Vasilyevsky (Basil) Island with wonderful view on Neva river, Peter and Paul Fortress, Summer Garden and other great sights. 1. 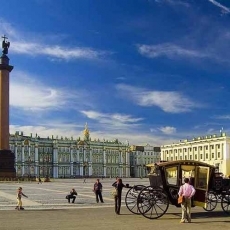 State Hermitage – world-wide famous museum – will astonish you with its interiors and grand scale. 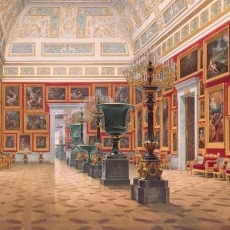 The winter residence of the Russian Emperors, one of the biggest museums in the world, with 25 kilometers total halls length, nowadays presents the rich collection of the world masterpieces. Our guides will show you the most interesting and important items from the whole variety of the museum exhibits! Additional options: permanent exhibition of the Impressionists in General Staff Building. Visit to one of Treasure Gallery rooms - Gold or Diamond. 2. Saint Isaac's Cathedral - a prominent sample of the Russian cult constructions with unique rich decoration. There are more than 150 art pieces of the middle of the XIX century in its interior. Stained-glass windows, mosaics, sculptures and fine combination of colored stones create the great color scheme, which amazes every visitor of the museum. Additional option: climb the 300 steps up to the Cathedral's colonnade in summer time. 3. Church of the Savior on Spilled Blood - wonderful, fabulous nine-dome cathedral, which was constructed on the spot of the fatal attempt at the Tsar the Liberator Alexander II. Its interior is a real mosaic museum, which you can look over for hours. This is one of the biggest collections in Europe. 4. Summer Garden - a pearl in the garden necklace of Petersburg, laid out by Peter the Great. 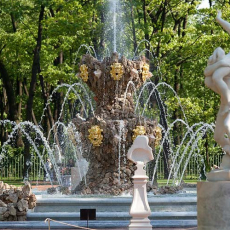 It is a place where Summer Palace is situated and a home to marble statues, rare flowers and plants, as well as beautiful fountains which allow to feel the atmosphere of Peter's time.The Neva fencing of the Summer Garden is an architectural masterpiece of universal fame. 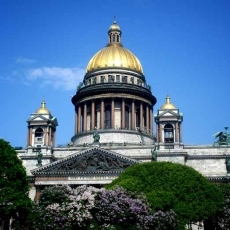 Your private licenced guide will meet you in the hotel (if it is situated in the downtown part of SPb) and after the tour you will be forwarded back to your hotel or to another place in the city centre you prefer. During the tour you will have enough time for lunch. The guide will recomend you good restaurants and cafes on the way or we can make a preliminary reservation at your wish. - boat trip along Neva during a day or in night time watching draw bridges (May-September). Any other language besides of English and bigger group size are available upon request. A vehicle of the required comfort level can be provided for any part of the day upon your request. A fascinating boat trip may be included in the summer time. Benefits are available for kids and students. The price may be not valid in the dates of International Economic Forum (June 5-9), December 31 and January 1. This tour is conducted in English, Hebrew, German, Spanish, Italian, French, Finnish, Chinese and other languages. Convenient duration, time and place of tour start and ending. Skip the lines entrance to the museums. Inform your manager, what other places, museums and attractions would you like to include in the itinerary. 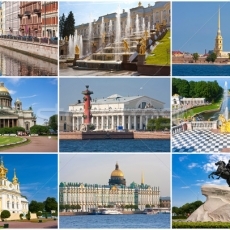 Sightseeing city tour "Majestic Saint-Petersburg"
Attention! Don't forget to write the dialing code of the city and the country. And please make sure that you supply us with the correct telephone number. dates of travel, group size, what would you like to see and visit?